Autism is a developmental disorder that affects how someone perceives the world and interacts with others. It usually affects children and young adults and lasts throughout their lifetime. As autism varies greatly from person to person, we often refer to a spectrum of characteristics that they may display. Like everyone else, people with the disorder possess a range of talents, abilities, and weaknesses. Therefore, no two people are affected the same. It affects people of all backgrounds and cultures. It is important to have a good understanding about autism and acknowledge people with autism as people and not as the disorder. This helps change attitudes and reduce barriers that may stop them from participating in the community. 1 in 100 Australians have an Autism Spectrum Disorder (ASD). You may have a family member, friend, or peer with autism. But even if you don’t know anyone you can still contribute towards positive change. We understand that everyone with a disability is unique. That’s why we offer a range of individualised supports for young adults and children with autism. These include one-on-one sessions or group programs like our popular School Holiday Program. Our programs also include special sensory play and low-stimulus sessions so participants can be at ease and enjoy themselves. 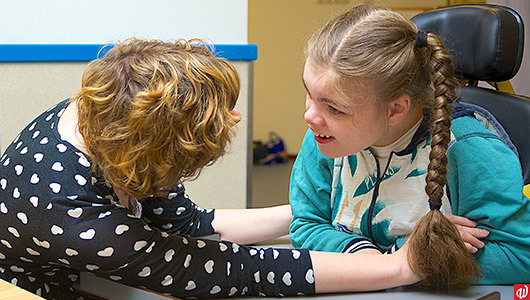 If you’d like more info about autism and what supports are available, then give us a shout! Contact us here or at 1800 610 665 today.